The Bollywood-Cricket lover stories are not new stuff to us. There were numbers of occasions when the name of Bollywood divas was assumed as the girlfriend of cricketers. Not all the time, but most of the time it was turned out to be just rumors. There are also rumors about Hardik Pandya dating Elli Avram nowadays. The relationship has been confirmed by neither Hardik nor Elli. However, new rumors have been generated when a photo of Urvashi Rautela and Hardik Pandya went viral on the internet. Urvashi Rautela And Hardik Pandya Dating? Since the photo is making rounds on social media, there are rumors running wild that Hardik Pandya is dating Urvashi Rautela. Judging by the picture, Hardik and Krunal Pandya seem to have a great time with Urvashi Rautela but it cannot be concluded that they are dating. 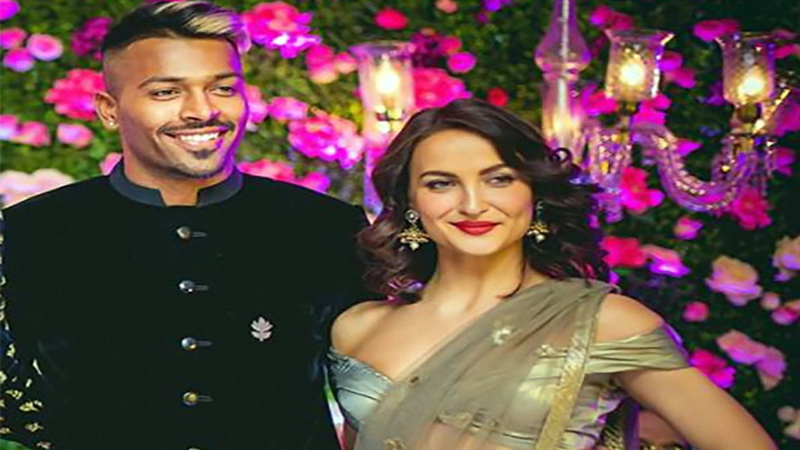 What Elli Avram Said About Her Relationship With Hardik Pandya? What do you think Hardik Pandya and Urvashi Rautela? Are they really dating or is it just a rumor? Share your thoughts in the comments. Also, check Sonam Kapoor ignited the floor with her dance in a wedding reception.